VPS hosting is a cost-effective digital hosting service to meet rising market and end-user demands. 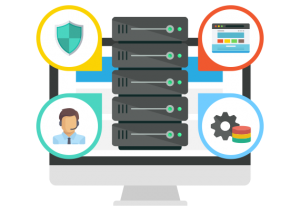 It is a securely managed environment that provides greater flexibility, and focuses on the privacy of your critical data and applications at no big costs.Managed VPS Hosting provides your more resource and secure backend services, so that you can only focus on the website and content. We provide VPS web hosting with free cPanel and secure plugin. cPanel is best control panel in the industry. Managed VPS hosting is build on solid SSD cache drive with more hundreds custom secure features. Enjoy India’s #1 VPS Hosting with our feature-packed VPS hosting plans, giving you huge cloud storage, 99.99% uptime on Solid VPS , Additional DDOS Protection and the world-leading cPanel hosting control panel, What’s more! We understand support is the main factor when you are looking for managed services. In BigBirdWeb we are known for our premium support system. Stop sharing web server resources and choose a Linux virtual server (VPS). Take full control in your hands with the most powerful Cloud VPS hosting. Dedicate to your websites a dedicated server space, full SSH root access, a cloud infrastructure and almost unlimited resource scalability with lower costs. VPS simple and inexpensive hosting the same way as the web hosting plan! at an additional cost, you can also opt-in for managed VPS service. BigBirdWeb Virtual Private Servers (VPS) performs and executes exactly like a stand alone server for its users and applications, as it can be rebooted independently and has its own root access, users, IP addresses, memory, processes, files, applications, system libraries, and configuration files. With BigBirdWeb, VPS clientele are hosted on powerful RAID 1 servers and have Rebootless Updates. Your Choice Of Operating System. With BigBirdWeb’s Linux Virtual Private Server, we provide multiple Linux OS options with full root SSH access. You can select the operating system of your choice. Included in All Packages for your VPS, Setup your web hosting with HostFurious. 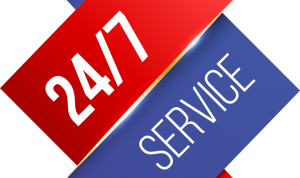 We know how important is to get assistance when you need it, that's why our qualified personnel is here to help you 24 hours a day.Our support technicians work around the clock to bring you reliable and responsive support 24/7 day or night we are available all time..
For easier management on your virtual private server, you can install a variety of hosting control panels like cPanel/WHM, Parallels Plesk Panel, DirectAdmin, Kloxo, WebMin and many more. Also you can work with a bare VPS without control panel via SSH access. Linux VPS offers a Full Root access via SSH or SolusVM console. 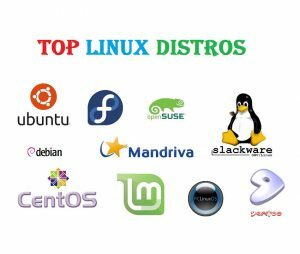 You can install all kind of software like: VPN, VNC, FFMPEG, IRC server, DNS, Mail Server (SMTP), Web server (PHP, MySQL), Proxy, Game server, ROR, SVN, Shoutcast and more require Linux OS. You can manage and reinstall your virtual private server (VPS) with the operating system of your choice. You can also reboot, stop and start the VPS and manage the DNS records (geo independent and redundant DNS cluster), up to 100 domain names, for free inside your control panel (SolusVM). You can add 64 additional dedicated IP addresses to your VPS in the order process or later. On some VPS nodes we allow IPv4 addresses from different subnets (SEO IPs). We also offer native IPv6 support free of charge. VPS locations - UK, USA, Canada, Bulgaria, Lithuania, France, Germany, Netherlands, Switzerland. We understand your business can grow day by day, for this you need to also upgrade your hosting day by day. We offer instant upgradation or downgradation in every plan you need. You can ask for extra ip or RAM what you need without any hesitation any time. Stable and secure VPS with OpenVZ and Xen virtualization, ECC memory and RAID array. We offer only virtual servers on top of Supermicro and HP servers with Intel Xeon CPUs and Hardware RAID for high performance and security of your data. Your data, our responsibility. SSH in VPS and dedicated hosting accounts can use shell to copy, move & rename files; etc on the remote computer. HosFurious’s VPS hosting provides free tools that you need to get your Ecommerce website up-and-running in no time, like shopping cart installation. Every business has its own way, so that we. We build custom vps for every buiness types. You can ask for custmo VPS with any range and IP suitable with your application. We are always care about performace and support more than anything. Make a good choice today! Are the VPS hosting managed? All the VPS hosting server plans mentioned on our website are fully managed with some additional cost.Our managed VPS plans are the best option for users who wish to upgrade from shared platform to a VPS but hesitate due to lack of technical skills and system administration knowledge. Unlike other VPS hosting service providers in India, we do not charge a penny for the VPS management. You will find VPS providers charging heavily for managed, semi-managed and fully managed VPS plans. User can profusely avail this available information from Account Center or “Service Activation Letter” email using SSH, even though connect to the Server using access domain or your IP address. How many IP with server? What I'm unhappy with VPS? Every VPS hosting account comes with 7 day money back guarantee. If you are unhappy with our services, submit the cancellation request and we will provide you full refund. Unquestionably, get profuse access over all servers. Moreover, the user can always change/update your root password within the Account Center. Will you transfer my VPS? Yes, if you opt for the VPS management then our team will help you to move your website to HostFurious VPS. You can also register domain and transfer domain to HostFurious. Yes, completely because of the key capabilities and capacity of cheap Linux VPS in order to meet the requirement for the significant growth of the business’s applications and data that reside on your VPS can be easily moved to larger and / or to additional servers. No matter Its 2PM or 2AM, We are one step ahead for your help with 500+ videos & Articles.Our in-house team is on hand 24/7 to not only solve technical issues, but to offer the guidance and technical support you need to succeed online. Give us a ring. Our servers are of the highest quality & spec to ensure your website performance is high day and night. Sign-up today for a free upgrade.